Hemolytic uremic syndrome (HUS) is a thrombotic microangiopathy affecting mainly the kidney. HUS is a rare disease, but its incidence is increasing, and now is the most common cause of acute renal failure in children. In the typical form, the development of the pathology is associated with infection of the Escherichia coli strain 0157:H7. However, in approximately 10 % of cases, this association does not exist. These atypical HUS (aHUS) occur in children and adults and they have a worse prognosis than traditional forms of HUS. In atypical HUS recurrences are frequent and mortality is close to 30 %. Atypical HUS has a clear genetic component. It is a polygenic and multifactorial disease in which mutations and polymorphisms in genes encoding complement proteins, like factor H (CFH), membrane cofactor protein (MCP / CD46), factor I (CFI) and factor B (CFB), act as genetic predisposing or triggering factors. Figure: Percentage of aHUS patients who have mutations in genes or genomic rearrangements of genes CFHR1 - CFHR3. Molecular studies available today predisposing factors identified aHUS in 50% of patients. Recent studies have concluded that these factors predisposing to aHUS, in combination with certain environmental factors such as bacterial or viral infections or exposure to certain drugs (immunosuppressants, oral contraceptives or antitumoral drugs) cause uncontrolled complement activation on the endothelium of the renal microvasculature. This induces destruction and initiates a cascade of events ending in the formation of microthrombi that clog arterioles and capillaries and in the development of aHUS. The age of onset and disease progression in patients who develop aHUS is very heterogeneous. 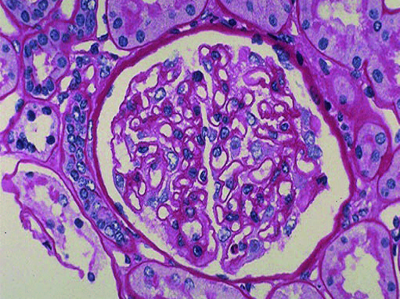 Some patients have milder manifestations resolved almost without sequelae, while in others the disease manifests at an early age and progresses rapidly to end-stage renal disease (ESRD). This clinical heterogeneity is related with the mutations that carry each individual. Thus, patients with mutations in the CFH gene develop the disease before and this is generally more severe than those with mutations in the MCP gene. Patients with mutations in the CFI or CFB genes develop the severe form of the disease which mostly evolves to terminal renal failure. Another important factor that influences the success in cases of renal transplantation is genetic predisposition to aHUS. 80% of transplanted patients with aHUS mutations in CFH, CFI or CFB, have disease recurrence after transplantation. In case of mutations in MCP this occurs in only 10 % of patients. Since in renal transplants from living related donors has been observed a high risk of developing aHUS for the transplanted person, it is essential to genotype the potential donors previously. In the same way that there are risk factors, protection factors to aHUS have also been detected. The analysis of these factors along with risk factors allows having a more precise valuation of the individual predisposition to aHUS. In conclusion, the genetic test has a prognostic value for the development of atypical HUS, it is useful in choosing treatment strategies and in donor selection among relatives. Besides, this test facilitates genetic counseling and risk identification in relatives. In Secugen we offer a diagnostic test that combines the search for mutations in predisposing genes with other analysis that assess the levels and activity of complement proteins. This allows the reliable identification of known genetic risk factors and an accurate assessment of the relevant functional aspects of complement in this serious disease and its treatment. 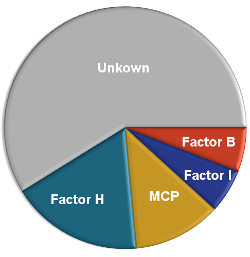 Search for mutations by PCR amplification and Sanger sequencing of genes: Factor H (CFH), factor I (CFI), membrane cofactor protein (MCP), Factor B CFB), Factor 3 (C3) and thrombomodulin (THBD) individually or in groups. Also available is the set of all genes analysed by massive DNA sequencing analysis (NGS). Genotyping polymorphisms risk/protection in CFH and MCP (CD46) genes. Analysis of rearrangements in CFH / CHFR1-3 region. Quantification Elisa/nephelometry levels factor H, factor I, factor B.
Quantifying flow cytometry MCP (CD46), DAF. Search autoantibodies anti - factor H.
Figure: The aHUS is a complex genetic disease that in its development contribute both genetic and environmental factors. In addition, there are risk factors and protective factors against it. 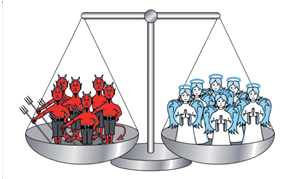 The balance of these positive and negative factors determines the risk of an individual developing aHUS. In performing these functional and genetic studies of complement proteins, Secugen has the support and supervision of the unit immunology Hospital La Paz in Madrid with Drs Pilar Sánchez-Gómez and Margarita López Corral Trascasa, researchers of international standing in HUS study. Also, Secugen is associated with the research laboratory of Prof. Dr. Rodríguez de Córdoba (CIB - CSIC, Spain) international reference for the diagnostic of this disease.